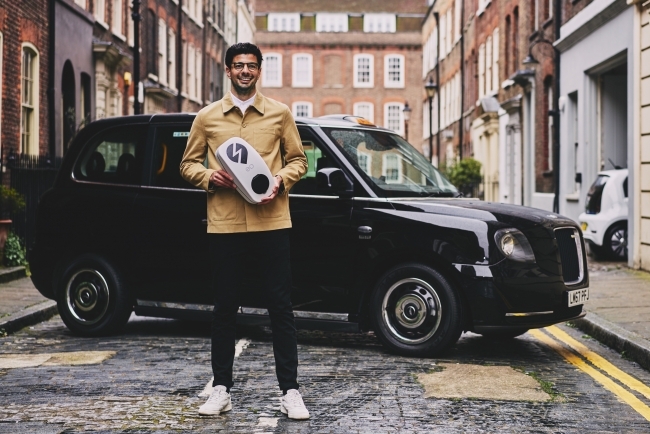 Founded by 27-year-old Charlie Jardine in 2015, EO designs and manufactures EV charging stations for homes, fleets and destinations. Having previously worked at another UK-based charger manufacturer, Jardine was frustrated by the unreliability of existing charging infrastructure and setup EO with a pledge to make simple and reliable EV chargers. After 12 months of development in a barn on his grandfather’s farm in Suffolk, EO’s first EV charger was produced. Within months the company secured numerous orders and is currently working with Uber, Addison Lee, Google, Toyota Portugal, Hampshire Police and many others to support their electrification plans. To date, EO Charging has manufactured over 5,000 charging stations at its new headquarters in Stowmarket, Suffolk. The business currently sells its products in 25 countries around the world and is expecting to grow rapidly over the next three years in-line with the mass adoption of electric vehicles. EO has developed a range of industry leading EV chargers including the EO Genius, a smart enabled charge-point that can connect to the EO Hub and communicate with the grid and be managed by the host. Currently the most cost effective & scalable charging solution for fleets, the EO Genius is used by a number of companies including Gnewt Cargo – operators of London’s largest fully electric final-mile delivery fleet. Zouk has earmarked up to £13m for the investment. An initial draw down on financial close will be used by the company to increase the team and continue investing in product development. The remaining funds are reserved to roll out a “Charging as a Service” model with the EO product range. Under this model, hosts will be able to offer their visitors charging infrastructure with £0 upfront cost and have the ability to manage the chargers for their clientele. Charlie Jardine, Founder and CEO of EO Charging, said: “When we first started in 2015 people were still sceptical of electric vehicles – even my own father. Fast forward three years and not only is demand outstripping supply for electric cars but my Dad is driving a Tesla, and he’s obsessed! EO Charging is currently one year into a Low Emission Freight Trial with electric final mile delivery firm Gnewt Cargo. The project is funded by Innovate UK, Office for Low Emission Vehicles (OLEV) and supported by the Mayor of London and Transport for London. EO is also part of ‘V2GO’ an Innovate UK funded consortium of eight organisations (including EDF Energy R&D UK, Oxford University, Oxfordshire County Council) to develop and trial ‘Vehicle-to-Grid’ charging on a large scale.